In an effort to help students understand what opportunities are available to them for further study or entry into the world of work, BRIDGE’s Post-School Access Focus Group has developed Post-School Learning pathways. BRIDGE’S Benter Okelo and post-school expert Suzanne Hattingh presented an overview of the pathways at the 2nd National ICT and Entrepreneurship Conference for the FET / TVET sector (held on 14 April in Secunda, Mpumalanga). The pathways comprise an exhaustive resource of information and practical guidelines on different post-school learning options. BRIDGE, in collaboration with the focus group, has been working to develop the pathways into a comprehensive, web-based repository of knowledge. 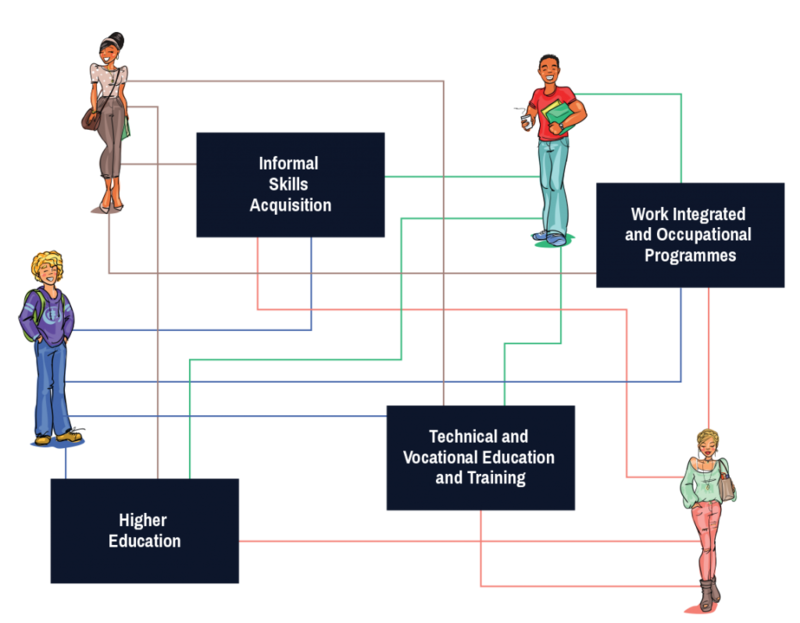 The online map will offer detailed information on TVET colleges, higher education, work integrated occupational programmes, and informal skills acquisition. The map will be an open educational resource available to students, teachers, career advisors and parents guiding young people from schooling into the world of work or further study.